The Adventures of Tom Sawyer by Mark Twain is a popular 1876 novel about a young boy growing up in a small town along the Mississippi River. The story is set in the town of "St Petersburg," inspired by Hannibal, Missouri, where Mark Twain grew up. 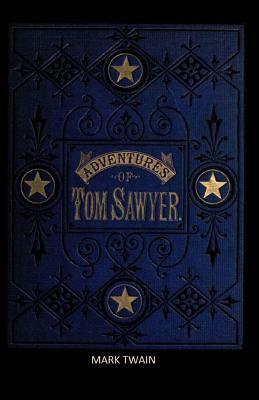 In the story's introduction, Twain notes: "Most of the adventures recorded in this book really occurred; one or two were experiences of my own, the rest of those boys were schoolmates of mine. Huck Finn is drawn from life; Tom Sawyer also, but not from an individual-he is a combination of the characteristics of three boys whom I knew, and therefore belongs to the composite order of architecture. Samuel Langhorne Clemens (November 30, 1835 - April 21, 1910), better known by his pen name Mark Twain, was an American author and humorist. He is noted for his novels Adventures of Huckleberry Finn (1885), called "the Great American Novel," and The Adventures of Tom Sawyer (1876).